Meet the passionate team who run FareShare and operate our kitchens. 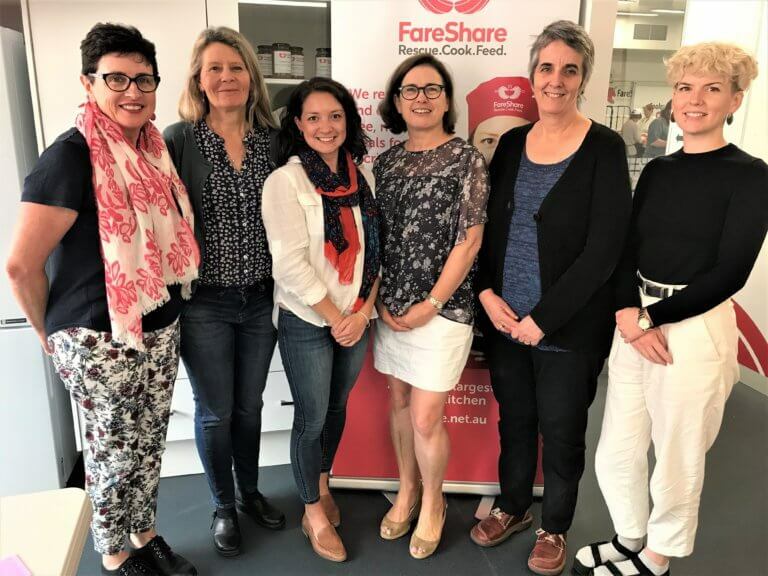 With a ratio of around one staff member to 40 volunteers, FareShare runs a small but effective team in Melbourne. Chief Executive Officer - promotes FareShare within the food sector, recruits new food donors, raises funds to cover our operating costs and new ventures, and forges partnerships with companies and other food charities to help FareShare achieve our mission. Together with Leader Community News, Marcus founded the Feed Melbourne Appeal in 2009, and shortly after the Feed Geelong campaign. 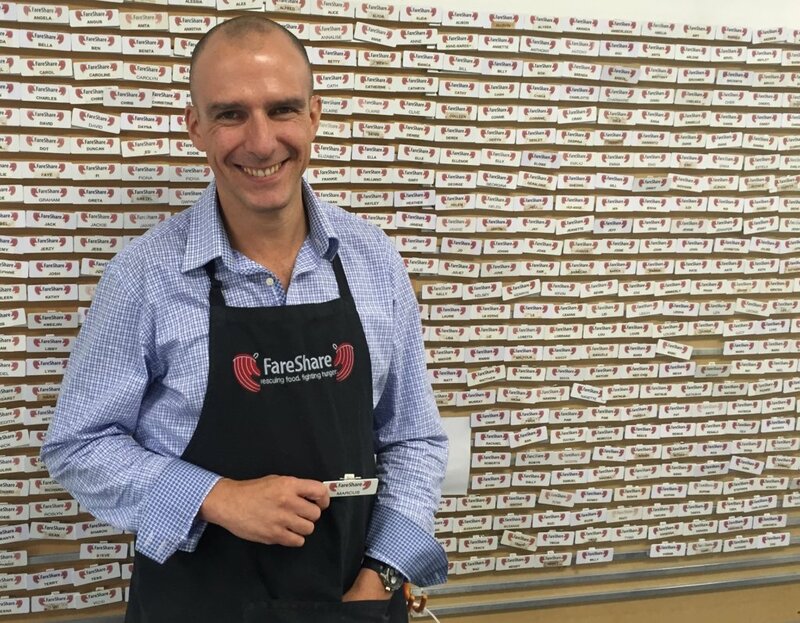 Marcus has led FareShare since 2007 following years' of volunteering in the kitchen and as a board member. He was previously Executive Director of Environment Victoria and held corporate affairs roles with ExxonMobil and National Australia Bank. Communications Director – manages our Community Team responsible for communications, volunteer programs and community fundraising. Manager Volunteer Programs – manages our volunteer programs, including corporate groups. Development and Fundraising Coordinator - helps raise vital funds to keep FareShare running. Volunteer Coordinator - manages and supports our community of regular volunteers. School Program Administrator – oversees all aspects of our Schools in the Kitchen Program. Administration Support Officer – provides administration support to ensure effective systems and processes. 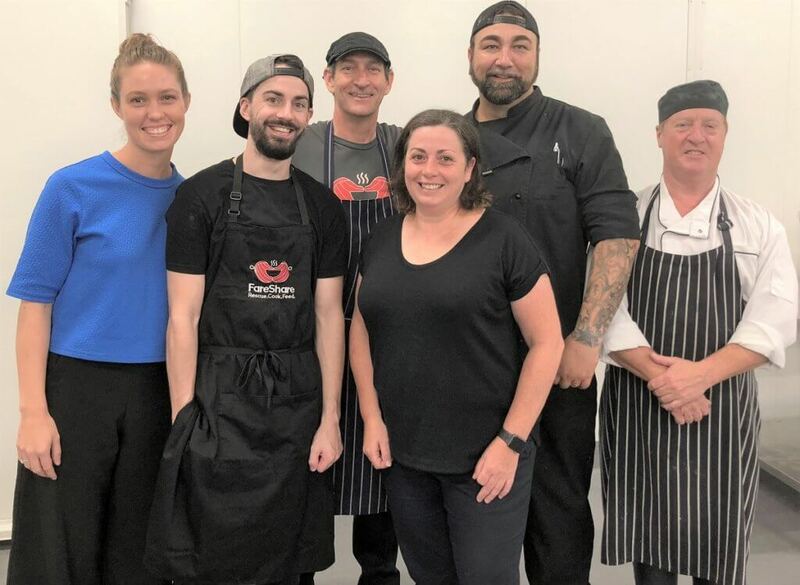 Production and Kitchen managers – oversee FareShare’s two kitchens, ensuring they run smoothly and maintain production of more than 25,000 meals per week. Logistics Manager – oversees transport, logistics and warehousing. Currently managing the fit out of our new warehouse in Derrimut. Kitchen Garden Manager – leads our kitchen garden program to grow vegetables for our meals. The small team with big ambitions managing and operating our new production kitchen in Morningside. Director, Queensland Operations - leading the establishment of our Brisbane kitchen, its staff and operations. Program coordinator - developing and implementing programs in Brisbane, including volunteer management, partnerships and administration. Production manager – heads up our kitchens and harnesses our volunteers to cook 5,000 meals a day. Chefs – creates daily dishes from available ingredients and supervise our volunteers to cook them. Kitchen hand – assists the chefs in maintaining a clean and productive kitchen.